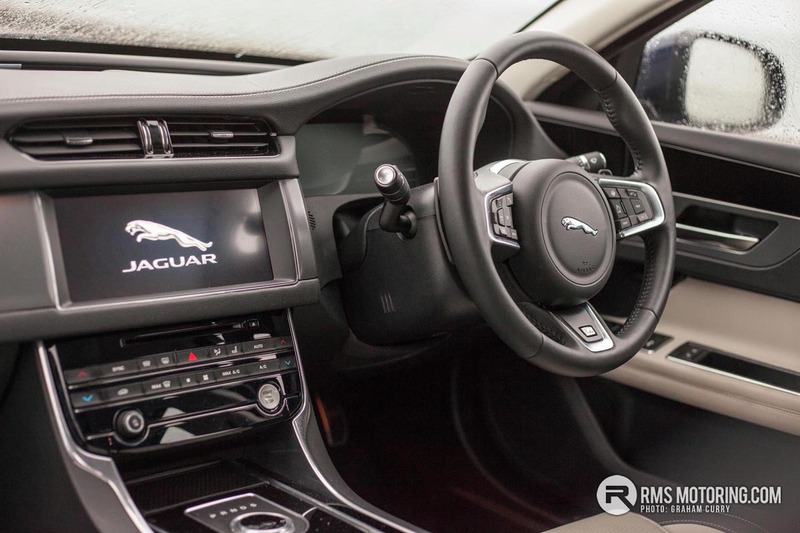 The Jaguar XF is rather large car and one that not only looks fantastic but drives superbly also, surprising this may be due to its size, though having driven the smaller XE model this year, Jaguar sure know how to hone their chassis. 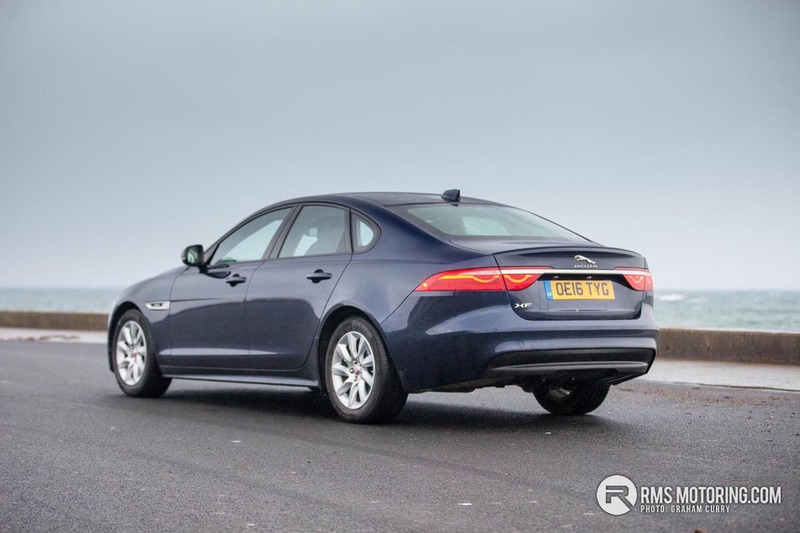 So yes, being quite a big car, think BMW 5 series, Infiniti Q50 or Merc E-Class for ease of comparison, the Jaguar XF wouldn’t look out of place in an airport private taxi rank or rolling up to the red carpet with a VIP on board or indeed as the chosen steed for a Mayor. 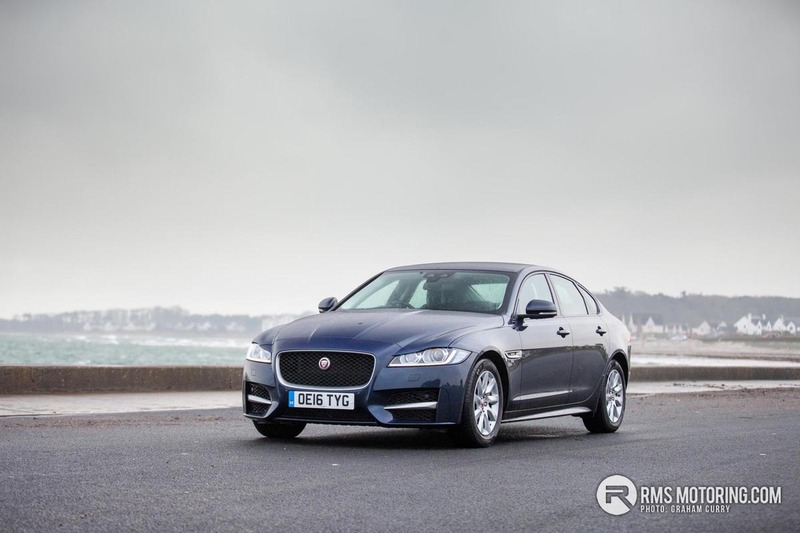 The XF however is most commonly seen parked by the club house of most golf clubs, it is the gentleman’s chariot that will carry two sets of clubs with ease, sooth the lower back pain after 18 holes with its heated seats and will waft you home in huge comfort. 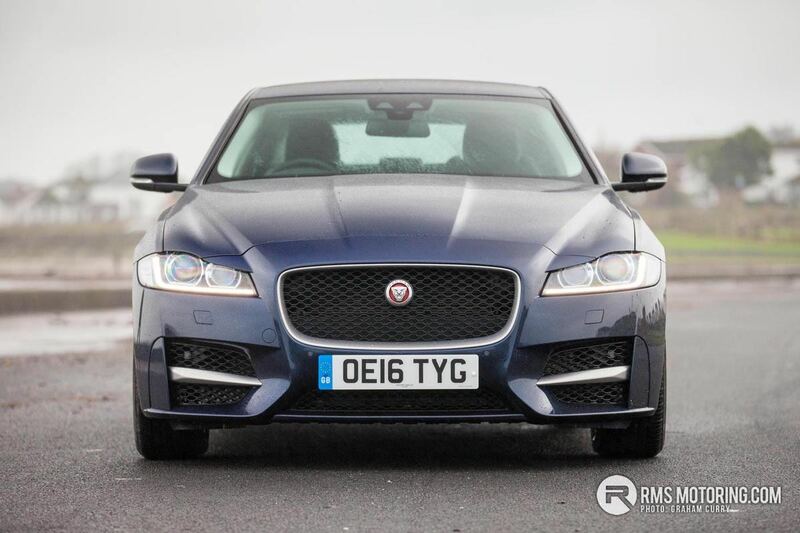 Nothing says Jaaaaaag more than navy blue paint with cream leather and this XF R-Sport tested, thanks to Jaguar UK certainly meets the criteria with its ‘Dark Sapphire’ paint at a cost of £690 whilst the interior which I will touch on soon is covered in a mix of cream and black leather. 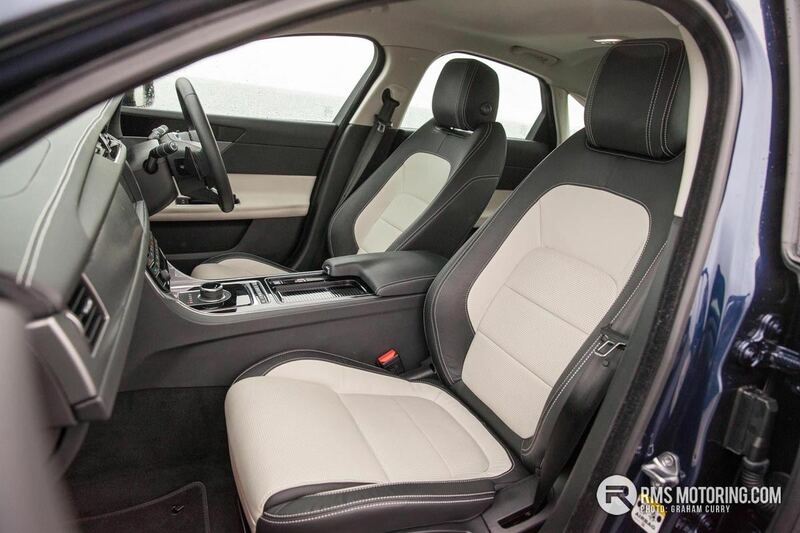 Being an R-Sport model I expected wheels much larger than the 17” ones fitted to this car, however with these wheels comes a large tyre sidewall and with that comes a means to absorb our sometimes shocking road conditions and as such added comfort which is welcomed. 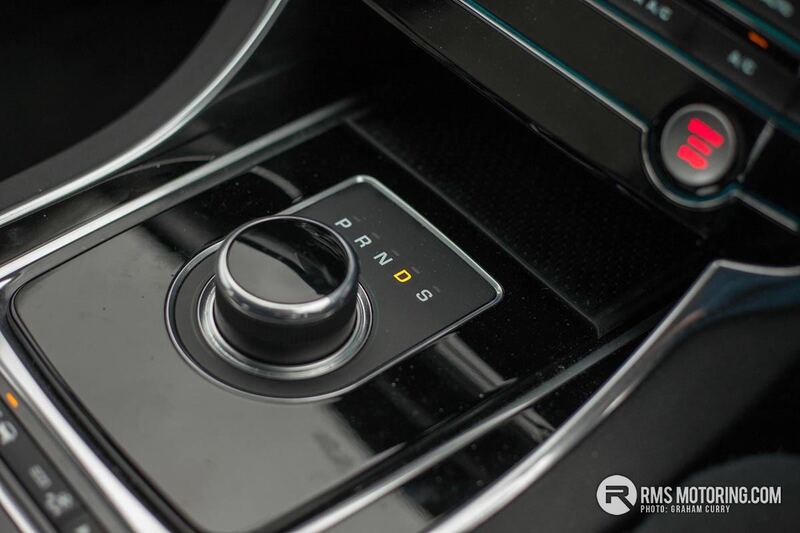 Keyless entry with start button, front and rear parking sensors, auto wipers and very sleek headlamps with LED daytime running lights all feature on this model with electrically folding, heated side mirrors being added at a cos of £360. 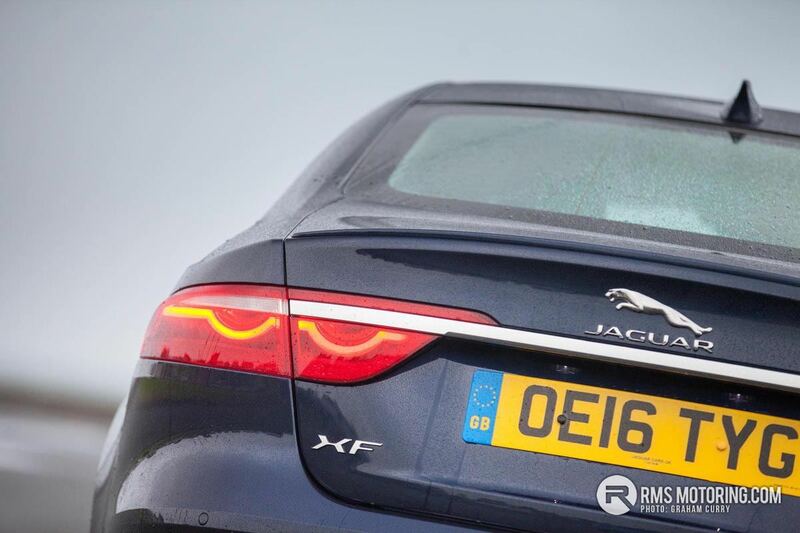 The XF has been on the market for a long time now and over the years it has received mechanical tweaks and cosmetic changes to keep it fresh looking and right up to date with the styling and technology of its rivals and the fact that it hasn’t had any major redesigns means that Jaguar got it right first time round and as such why change a good thing? 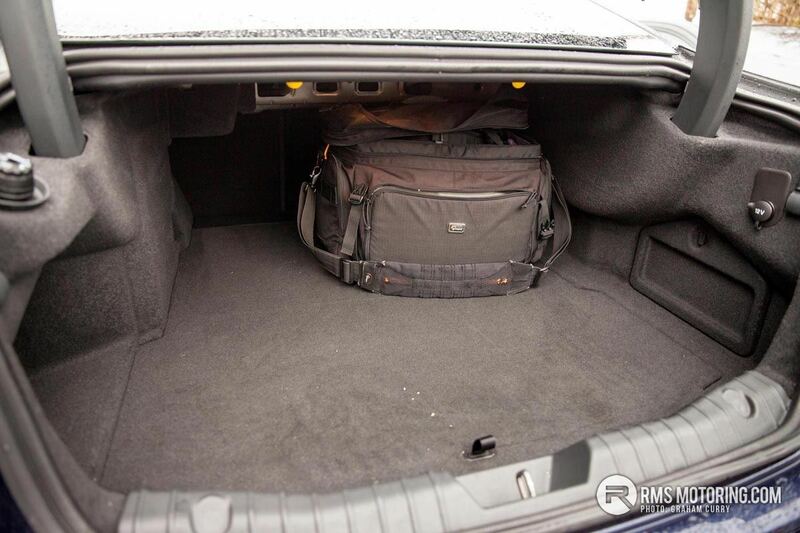 Being a saloon, practicality can suffer due to the nature of such cars and it will never carry obscure loads that will fit into a hatchback or estate car but in all fairness the XF provides a substantial boot space suitable for those into golf while offering more than enough room for a dozen guns, a few slabs of cartridges with enough room left for a few brace each with 4 gentlemen on board. 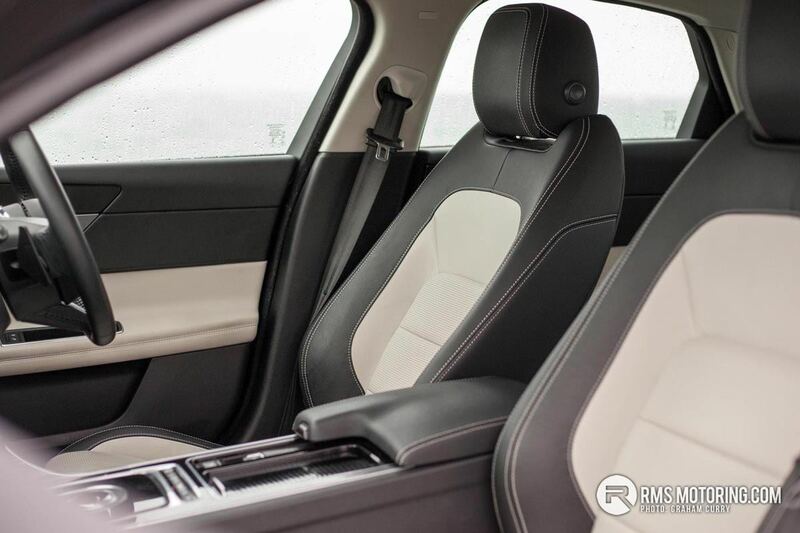 For longer loads, this XF has received the very useful split fold rear seat upgrade at a cost of £430 which breaks the rear seats down in a 40:20:40 way and as such makes it a lot more practical when a run to Ikea is forced upon you. 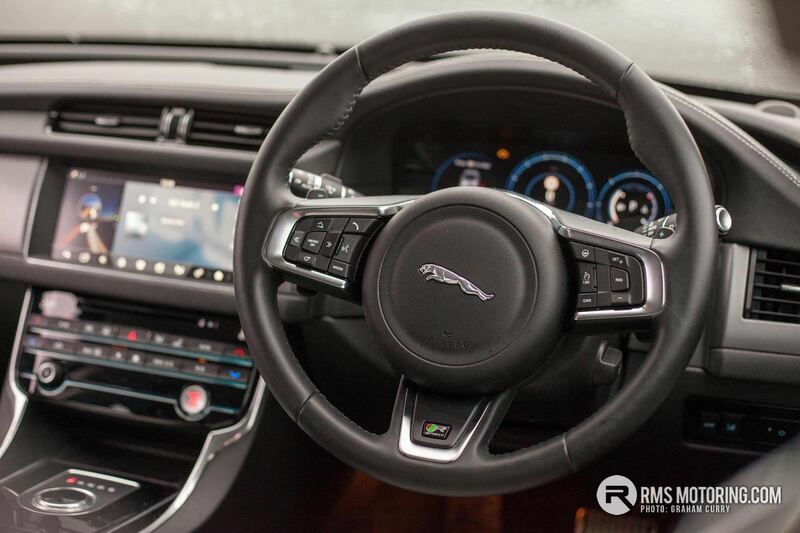 Inside the XF is a nice place to be, maybe not as pleasing on the eye as some rivals but Jaguar have kept things simple, in an ergonomic kind of way which is a good thing. 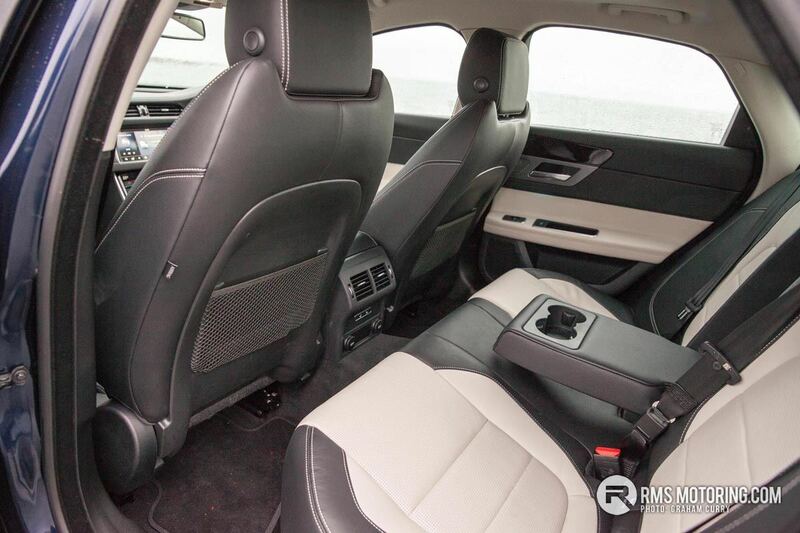 Full leather throughout with perforated cream centres and black outers is a change from one solid colour and works well. 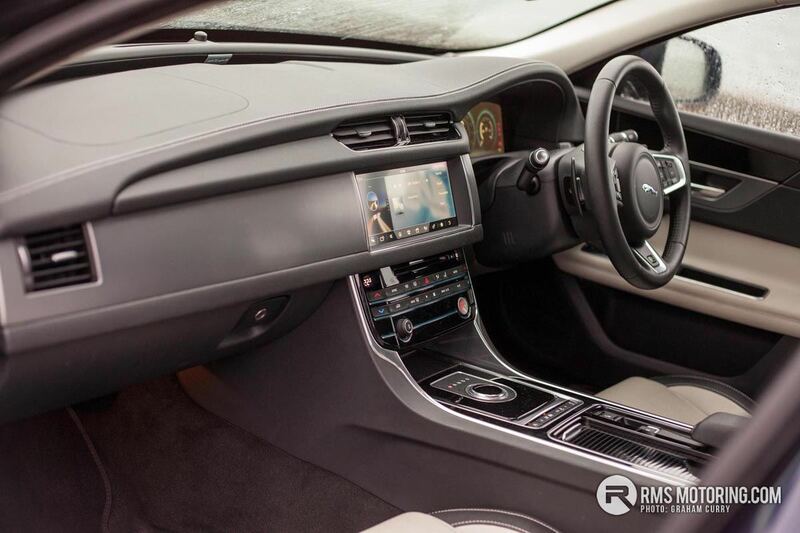 I personally am not a fan of light coloured interiors, though could live with this choice in the XF easily as the parts that tend to get heavily worn and dirty are all covered in black leather with white stitching making it much more durable. 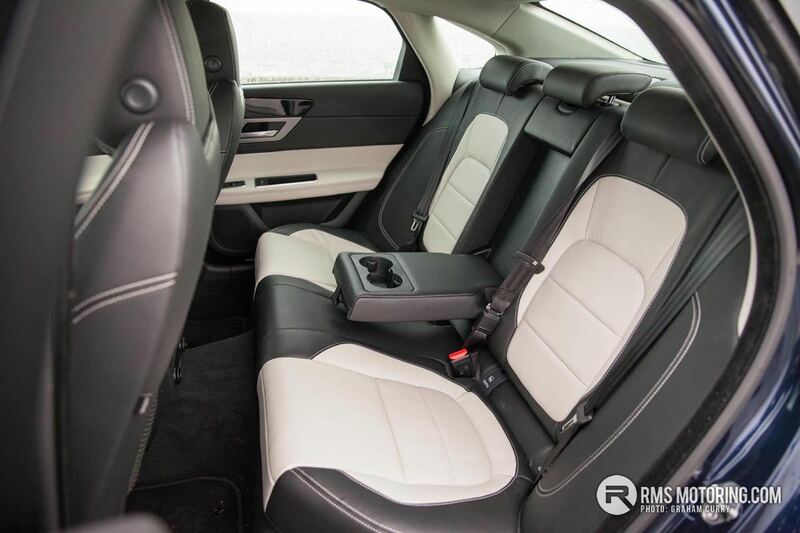 Both front seats and the outer rears are heated along with a heated steering wheel (part of a £745 cold climate pack) and the cabin offers huge amounts of room for even four grown adults. During my week with the XF I travelled to Monaghan with friends and even after a 2 hour drive, all four of us had more than enough room. 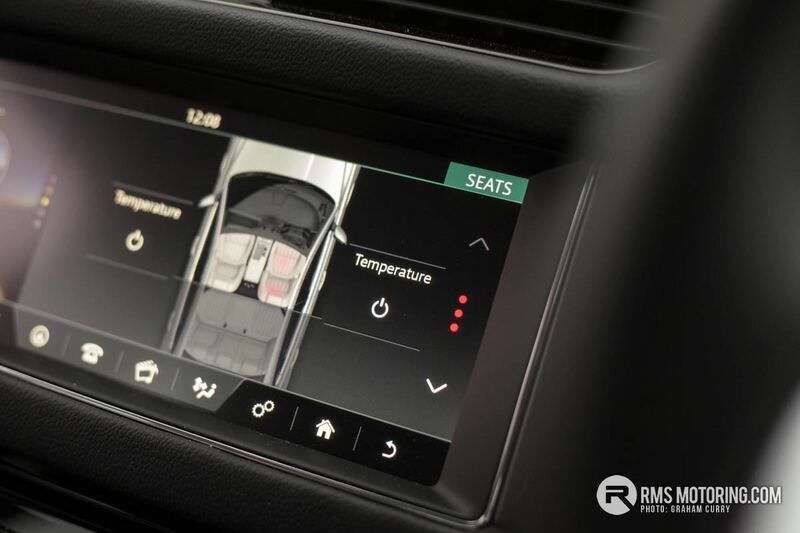 With everything up to now ticking the boxes perfectly it was time to assess the infotainment and it didn’t disappoint at all with the £1745 InControl Touch Pro & Meridian Audio upgrade. 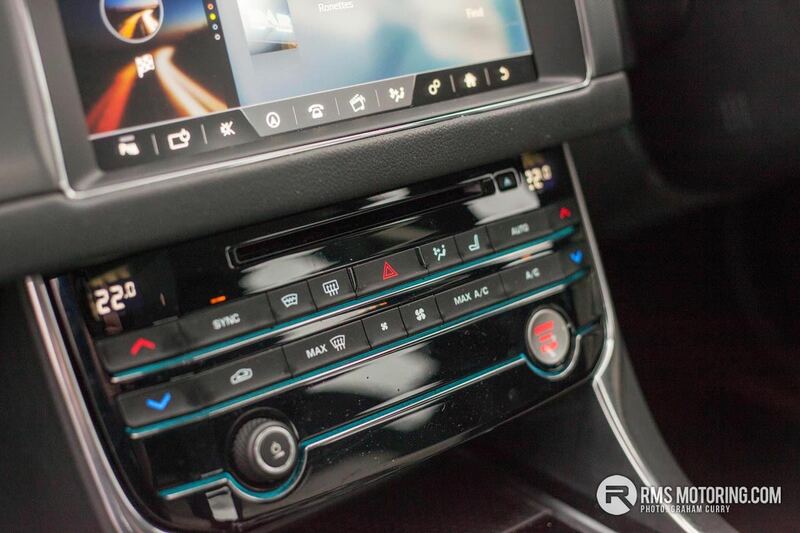 Sound quality is second to none and connectivity in abundance with Aux input, USB input, HDMI input all within a cubby hole under the central armrest. 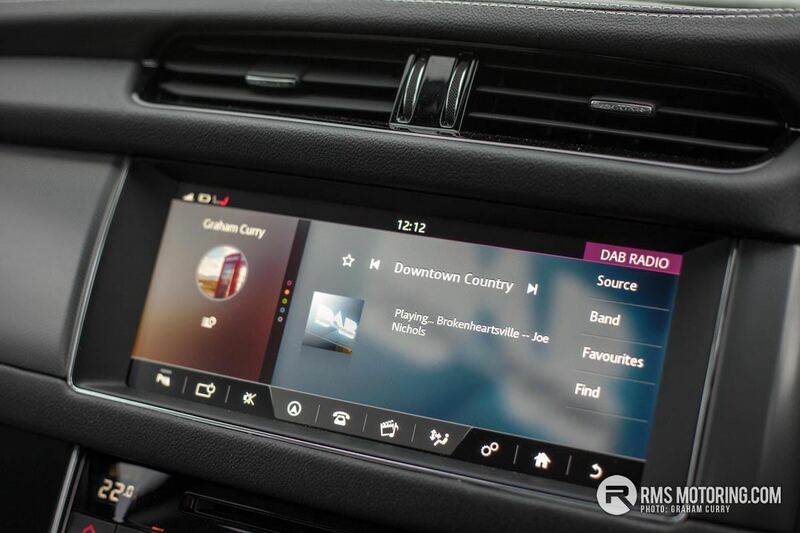 Bluetooth with streaming and Sat Nav also feature on the panoramic like touch screen built into the dash which even offers pre planning of routes via the jaguar Route Planner app on your smart phone which once in the car uses street view and earth maps on the main screen. 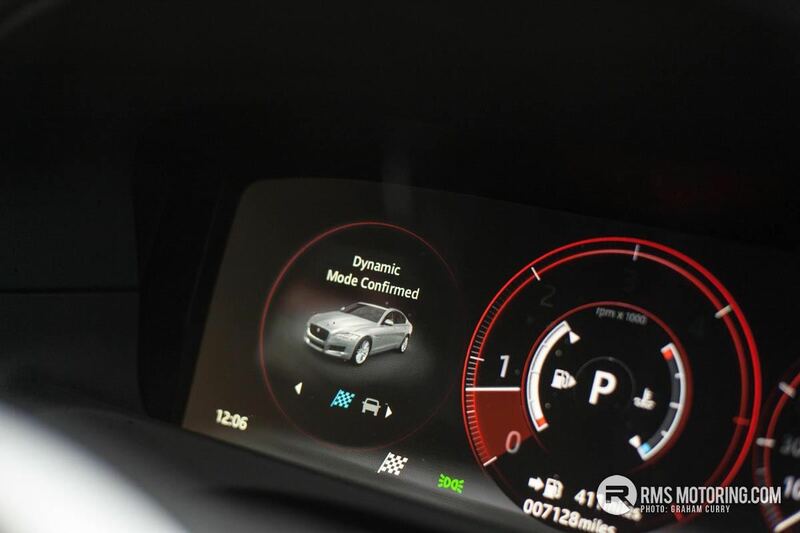 Usually when it comes to road tests, we are used to getting brand new, never before seen cars that are new to the market but with the XF this is a little different and as such the newest thing about the model is the fact that it is now fitted with the 2.0 diesel Ingenium engine which produces 160bhp with 280lb/ft of torque. 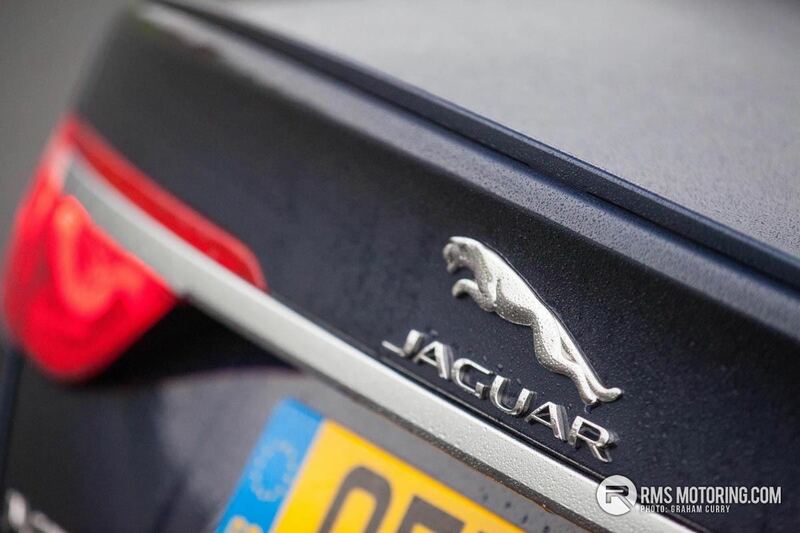 This engine is designed to maximise performance whilst increasing economy and the impact on the environment and it is something that the Jaguar Land Rover Group are very proud of. 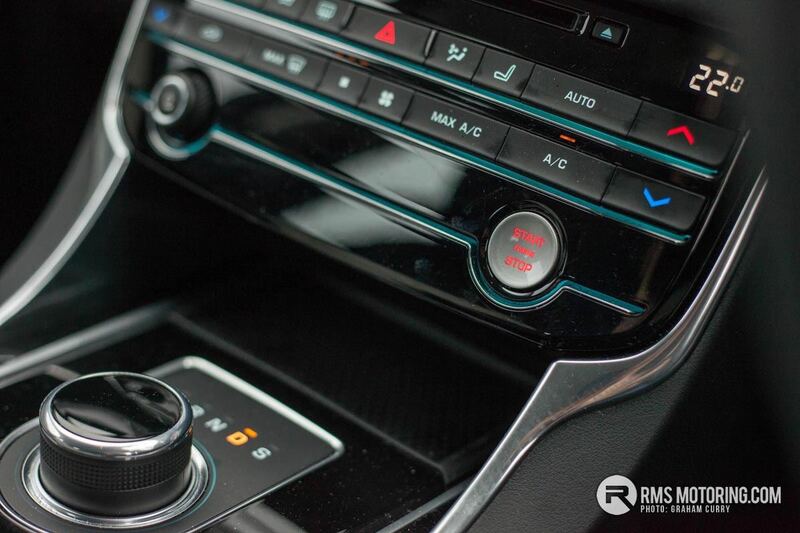 Mated to the fantastic 8 speed ZF automatic gearbox this XF will cover 0-60mph in just 8.2 seconds. 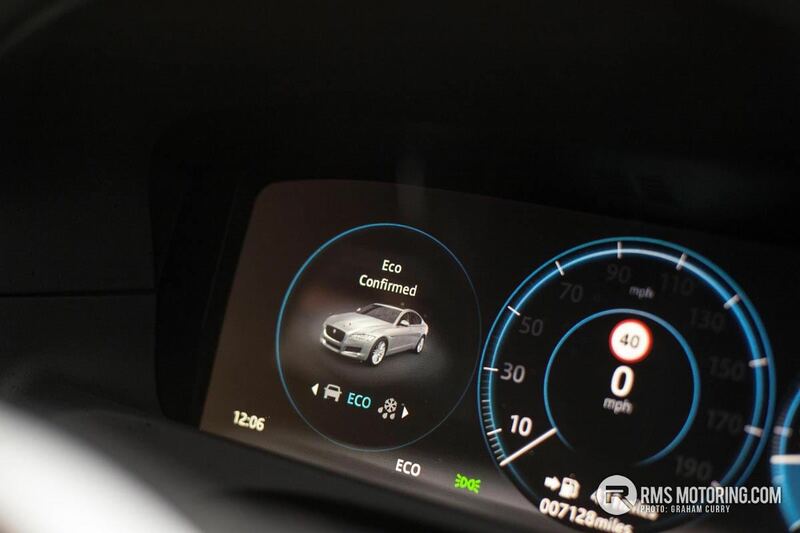 I was worried that this engine in the XF was going to be a little lack-luster and noisy (I do recall it being a little noisy in the XE) however I am pleased to say that it pulled well through the gears to the speed limit whilst engine noise inside was minimal. I did notice that on the motorway when overtaking a lorry from say 60mph that the engine was a little laboured but none the less as a car that will return a real world mid 50’s mpg and with £20/yr road tax it must not be looked past, especially for mile munching business users. With sport suspension, a fantastic chassis and Jaguar’s Drive Control, the XF could well be class leading in its driving mannerisms. 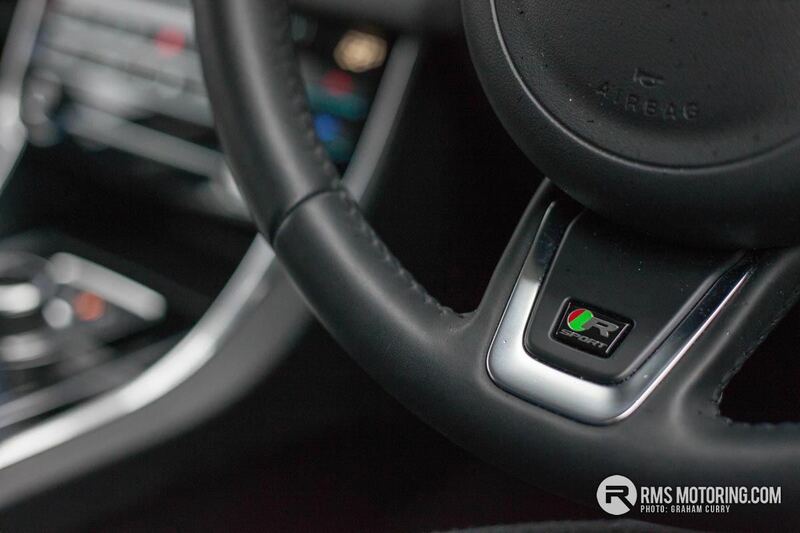 The Drive Control gives the option of differing drive modes; ‘snow’, ‘eco’, ‘normal’ and ‘dynamic’, all of which are changeable via buttons near the gear selector. 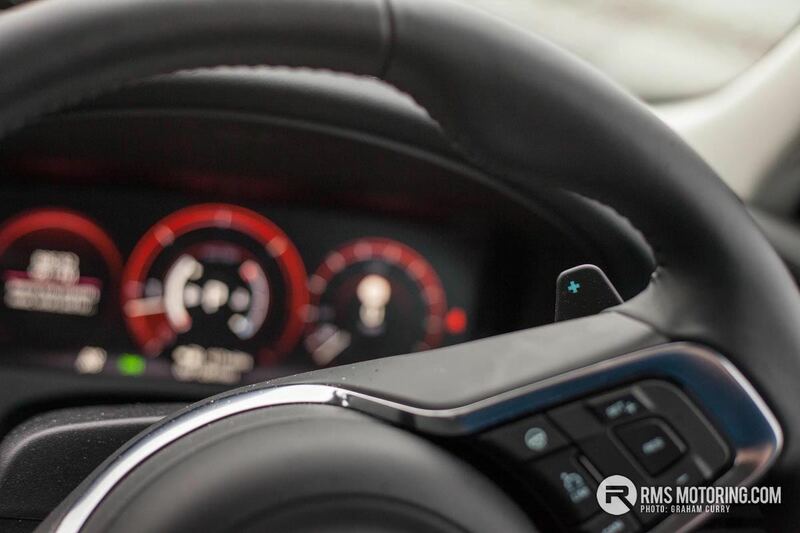 A super smooth ride and great cornering ability is aided with auto emergency braking, lane departure warning and other driving aids you would expect to find. 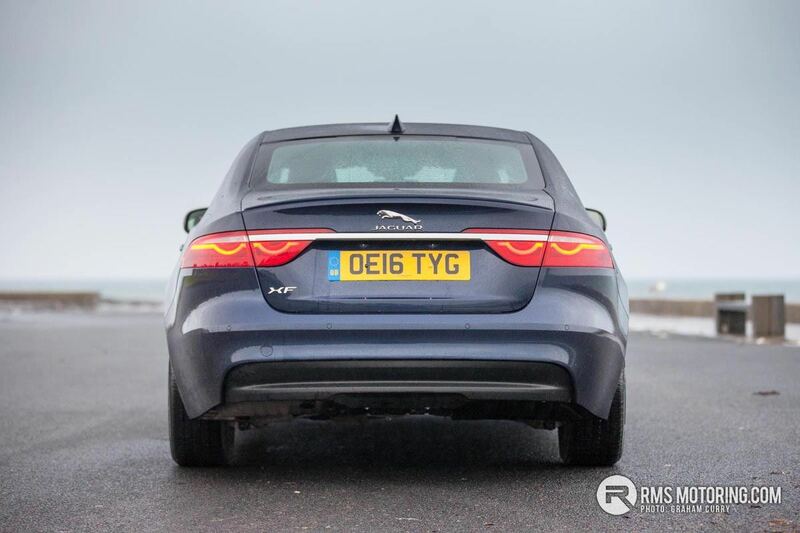 It is a big car, and this becomes obvious when it comes to parking the XF but overall a great place to be and fantastic driving machine. 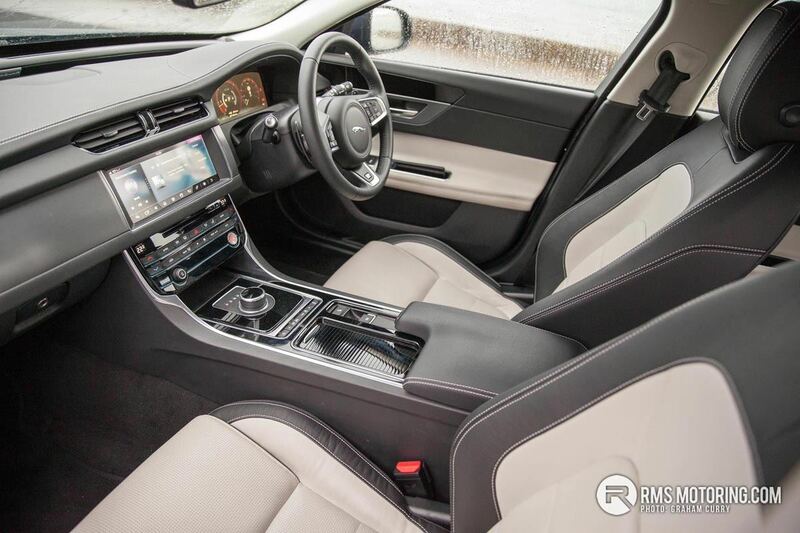 I’d maybe opt for the 3.0 diesel personally though. 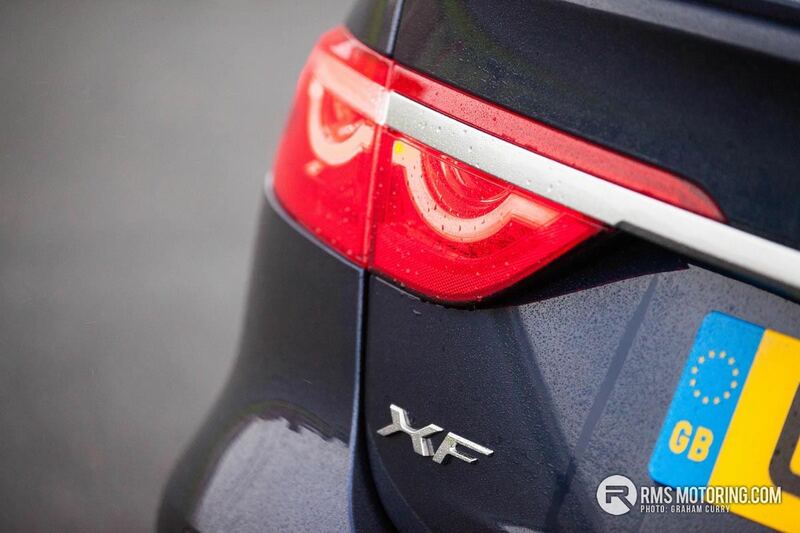 Pricing of the XF starts from a snip over £32k with this model tested coming in at just over £41k whilst you can expect to pay around £60k for a range topping model with plenty of options.